In a recent case from the U.S. Court of Appeals for the Fifth Circuit, plaintiff had filed a personal injury lawsuit after he suffered an alleged slip-and-fall injury in defendant’s big box retail store. According to court testimony, the plaintiff was walking in the store when he fell on water that had allegedly been left on the floor in a negligent manner. Plaintiff’s sister was present when the accident occurred, as was a store employee. 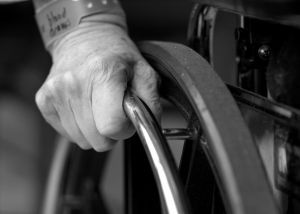 It was not clear whether the employee actually saw the plaintiff fall, but she did get a wheelchair owned by the store to transport the victim to the front of the store, where he was taken to a local emergency room to be treated for his injuries. 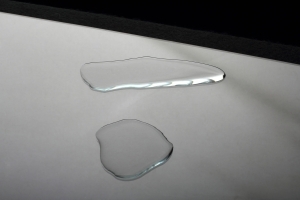 As for the cause of his injuries, plaintiff argued that the store roof was negligently maintained, and that resulted in water leaking from the ceiling and was negligently allowed to pool on the floor, which caused him to slip and fall, resulting in his personal injury. In Goodwin v. Al J. Schneider Co., a case recently weighed by the Kentucky Supreme Court, plaintiff was injured while attending a convention at a hotel and conference center owned by defendant. Plaintiff was staying at the hotel with his wife and was injured while taking a shower. In Edwards v. Hy-Vee Inc., an injury lawsuit heard recently by the Nebraska Supreme Court, plaintiff was shopping at a grocery store owned by defendant. While plaintiff was in the store, an employee was handing out samples of watermelon to customers. When the plaintiff was about six feet away from the man handing out watermelon samples, she slipped and fell to the floor. A woman in Nevada is seeking recovery for brain injury she suffered in July 2013 after a slip-and-fall at a home improvement store while she was shopping for palm trees for her garden. She alleges the outdoor area was covered with water, and presented an unreasonable risk of injury to business invitees on the property. Defendant store, meanwhile, contends plaintiff was contributorily negligent and that she actually fell on top of a four-foot orange “caution” cone that was placed near the accumulated water to warn customers of the risk. 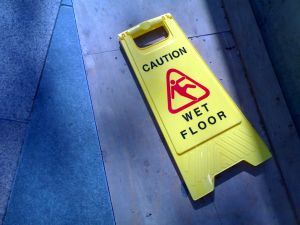 Plaintiff has countered this was not sufficient as there was no “Wet Floor” sign and defendant knew this was not enough to warn customers, considering there had been 33 similar falls at other stores across the country – including two previous slip-and-fall accidents at this very same location.